Twitter Releases New Ad Features: Twitter adds two new enhancements that advertisers frequently request—follower growth reporting and manual Promoted Tweet selection. Small businesses using the self-service Twitter ads can now track Twitter audience growth. Scoop.it Integrates With SlideShare: The publishing-by-curation platform Scoop.it integrates with SlideShare. You can now easily curate SlideShare presentations relevant to your interests. Tumblr Enhances Dashboard: Tumblr has added a few enhancements to their dashboard and also redesigned the way video works on Tumblr. 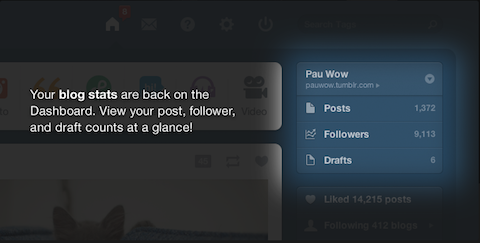 The Tumblr dashboard has a few new features. iPhone Users Get a New YouTube App: The official YouTube app for iPhone and iPod Touch brings users more videos and more ways to share them. The iPhone app's new YouTube channel guide reveals the channels you've subscribed to on YouTube. Socialomate: a Twitter direct marketing assistant that allows you to run multiple-step campaigns with your followers. Check out Socialomate to get more from your Twitter marketing. My Social Promo: a tool for small businesses to tap into the social networks and drive new business via word-of-mouth sharing. 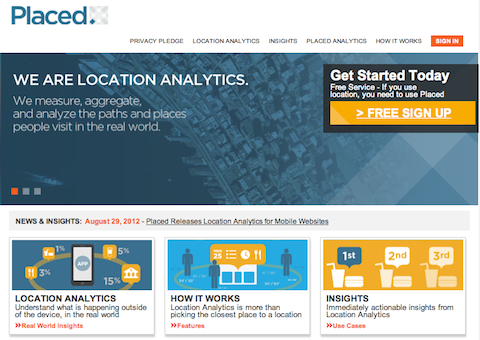 Placed: a location analytics tool leveraging mobile devices to help you understand your customers better. The insights garnered from Placed can be used to model customer behaviors, gain competitive insights, inform product development and optimize marketing strategy. Wavespot: a social WiFi service that allows merchants to give their customers free WiFi when they connect with businesses via Facebook or Twitter logins. Social Media Examiner presents Facebook Success Summit 2012 (online conference). Be sure to check it out before the 50%-off sale ends on Thursday, September 20.